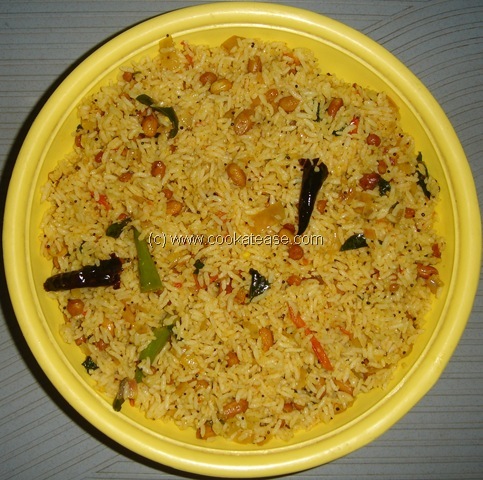 Chitranna is a popular dish in Karnataka. It is easy to prepare and is very tasty. 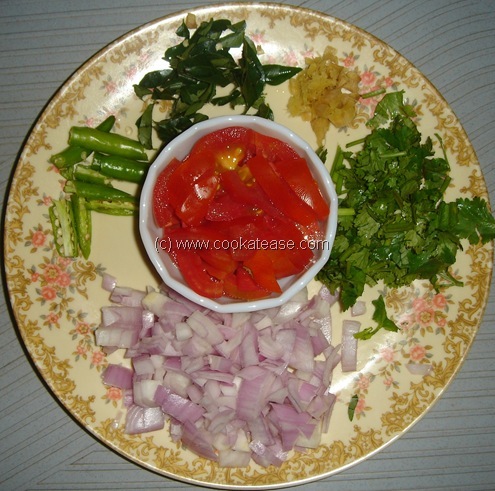 Chop onion,tomato,ginger,green chilli,curry and coriander leaves. Heat a pan with oil, add all the seasonings and fry till crisp. Add chopped onions,green chilli,ginger,salt and fry. 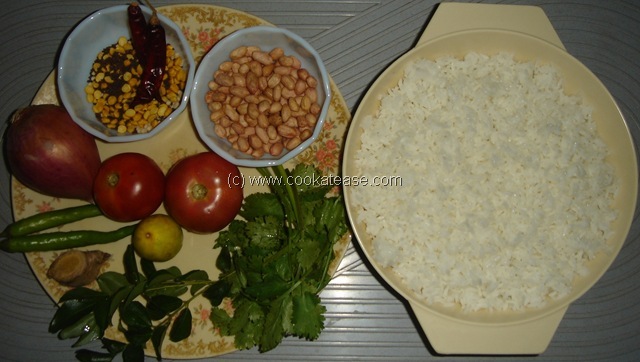 Add curry,coriander leaves and fry for a while; add tomato and cook till tomato get mashed. Add turmeric, red chilli powder and fry well. 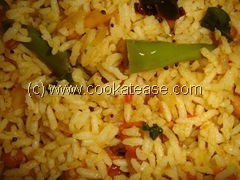 Now add cooked rice, mix well and remove from the pan; add lemon juice, mix well. 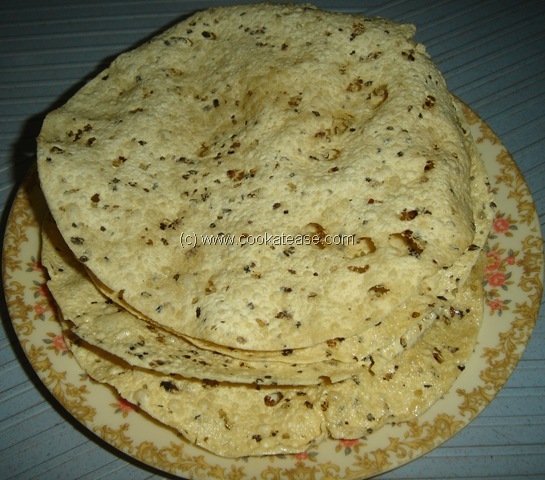 Serve with Potato fry, Pachadi and Fried Papad. Ground nut need to be fried crisp while seasoning. Add lemon juice in the mix only after removing from the flame.